It is a maintenance version, prepared for iOS12 with small but interesting improvements. - In the Class report and the XLS export you may include the details of the rubric. Numeric value of the cell or the text. - In the summary view of a column and the widget you can configure the bar graph. 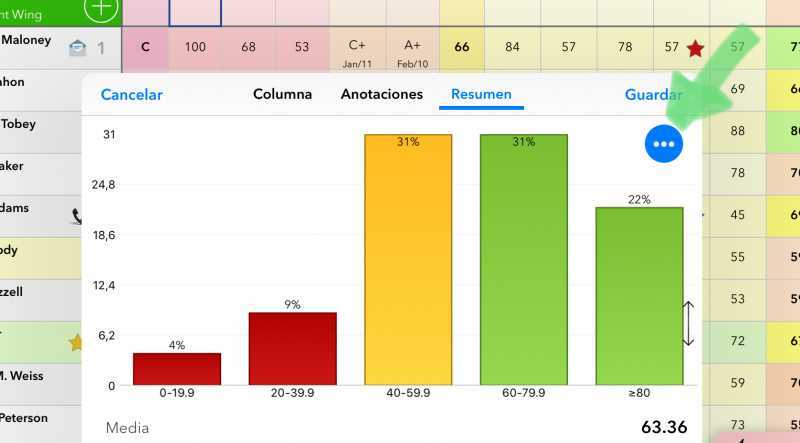 Indicate the number of bars, a separate bar for the maximum and if you want to show the number of students as a percentage. It will let you merge several columns into one if there is only one cell with data for each student. 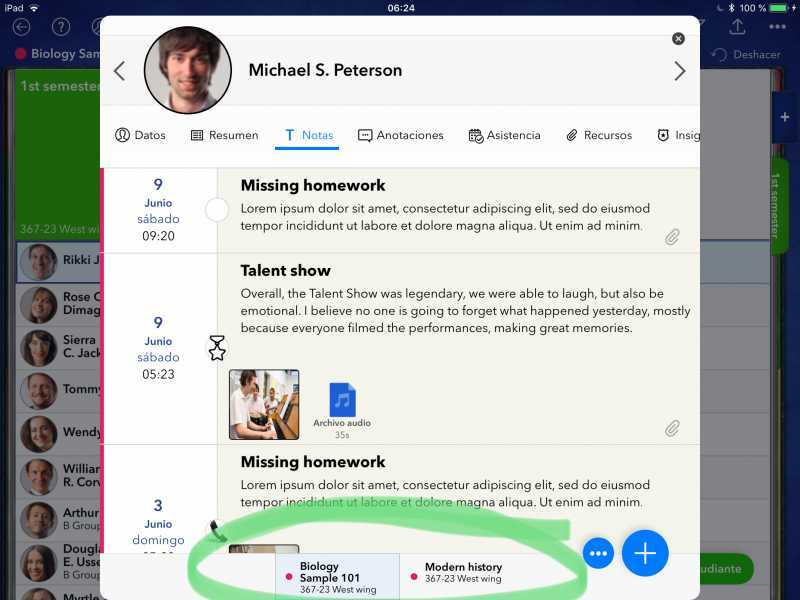 - In student's sheet > text notes you can easily access those of other classes. You will see the class selection bar at the bottom if the same student is detected in more than one class. Last Edit: 9 months 1 week ago by bert.